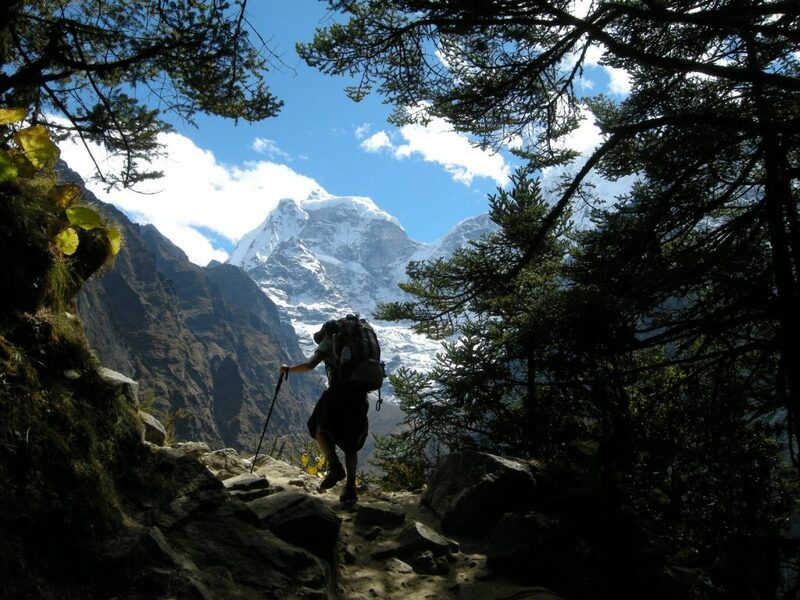 Hike one of the world’s most magnificent mountain ranges on a 12 to 14-day Everest Base Camp trek. Change your views on reality during a life-changing adventure in Nepal that offers spectacular views of Mt. Everest and many other snow-capped peaks. Experience epic views of Mt. Everest and the Himalayas on a 12 to 14-day mountain trek to Everest Base Camp, and see the world’s highest mountain peak closer than you ever have before! Follow in the footsteps of early mountaineers and expeditions as you navigate the paths of the 8,848-meter mountain. Come face-to-face with icy façades, and discover why the trek to Everest Base Camp has become one of the most loved trekking routes in Nepal. Spend 2 nights at Namche Bazaar, the bustling market town in the heart of Sherpa country. Go to Pheriche to see a cluster of houses set among the high, summer grazing pastures. Spend some time in Namche Bazaar to explore and acclimatize – an important factor to enjoy your trek. Those who fully acclimatize can continue to Everest Base Camp, but without a doubt the main highlight will be the brilliant views of Mt. Everest, Mt. Pumori and the notable landmark of Kala Patthar. See the extraordinary ice sculptures of the Khumbu Glacier and the mountain of Nuptse on the southwest face of Mt. Everest. Day 1:Benefit from a pick-up at Kathmandu International Airport on arrival. Day 2:Following your flight to Lukla, take a 3 to 4-hour trek to Phakding (2,652 meters). Day 3:Journey from Phakding to Namche Bazaar (3,440 meters) on a 5 to 6 hour trek to the bustling market town. Day 4:Enjoy a day of rest at Namche Bazaar. Day 6:Continue from Phorse to Dingboche (4,360 meters) on a 6 to 7-hour trek. Day 7:Take a 3 to 4-hour trek from Dingboche to Duglha (4,600 meters). Day 8:Trek from Duglha to Lobuche (4,940 meters) in 2 to 4 hours. Day 9:Trek from Lobuche to Gorak Shep (5,170 meters) and on to Everest Base Camp (5,364 meters), from where you will return to Gorak Shep at the end of a total trek of around 7 to 8 hours. Day 10:Hike from Gorak Shep to Kala Patthar (5,545 meters) and on to Pheriche (4,280 meters) on a 7 to 8-hour trek. Day 11:Enjoy a 6 to 7-hour trek from Pheriche to Namache Bazaar (3,440 meters) as you commence your mountain descent. Day 12:Continue your descent on a 5 to 6-hour trek from Namche Bazaar to Phakding and on to Lukla (2,800 meters), where your amazing trekking adventure ends. Day 13:Fly back to Kathmandu from Lukla. Day 14:Benefit from a transfer to Kathmandu International Airport for your onward journey.